I think the thing I love most about frozen yogurt is the ability to control exactly how much you want, plus the toppings! Over at Yogurtland they’ve got some new flavors for the summer and I went to go check it out. I got my handy dandy little sample cup to try out a few flavors and I ended up getting the new Marionberry Pie + the Plain Tart frozen yogurt. The Marionberry Pie is my new favorite! It’s got the berry flavor but it’s not overpowering and has just the right amount of sweetness. I topped my delicious marionberry frozen yogurt with bits of mochi and it was a great combination! For my tart yogurt, I added some popping strawberry and slices of strawberry. It was a nice berry combination that paired nicely with my sweeter marionberry frozen yogurt. YUM! 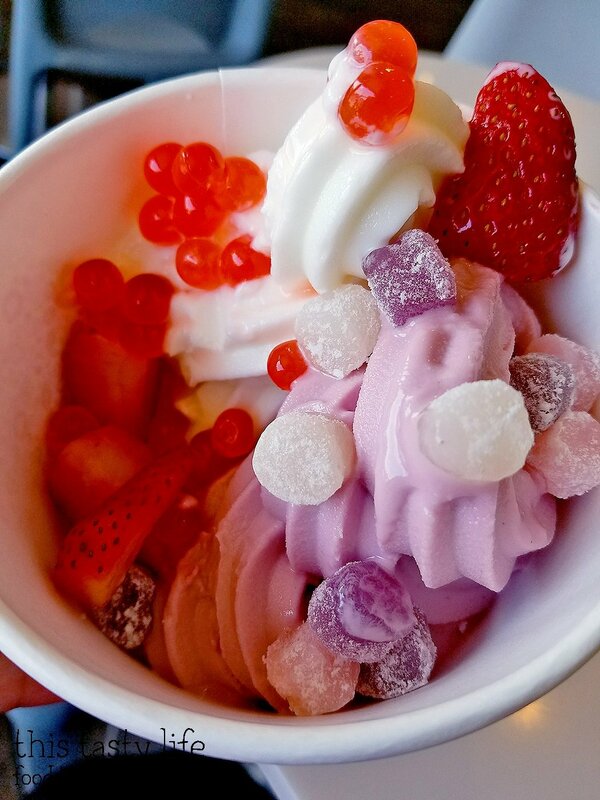 Comment below and tell me: What’s your favorite frozen yogurt topping? Additional entries available via my Instagram page – check it out for details! Enter by May 31, 2017 at 8PM PST. Winner will be chosen on June 1st. Winner will have 24 hours to reply and claim prize, otherwise another winner will be chosen. Good luck! This contest has ended. Congrats to our Instagram winner @rilakkuma_23! Disclaimer: I was provided with a gift card to sample the yogurt and an additional gift card to giveaway from Yogurtland. All opinions are my own and I was not further compensated for this post. 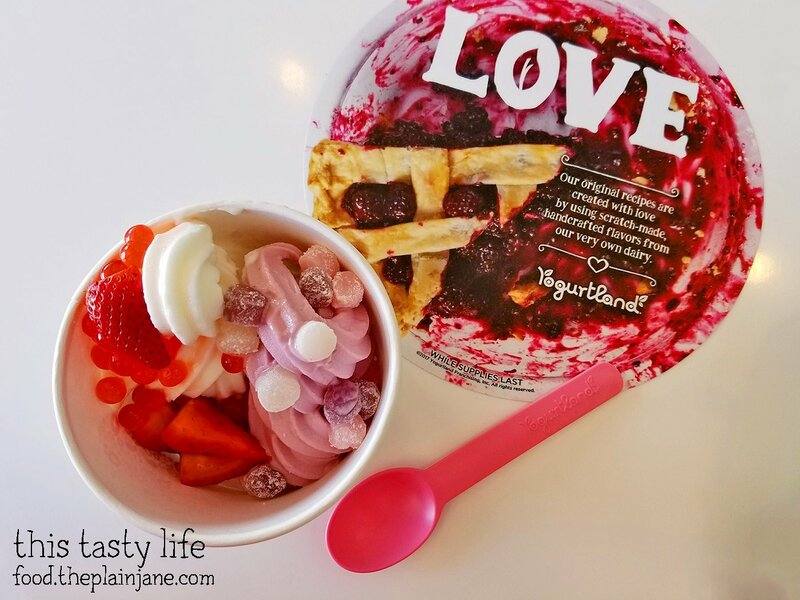 Posted in Giveaways, Mary, Multiple Locations, San Diego CountyTagged dessert, frozen treats, frozen yogurtcomment9 Comments on I Love Frozen Yogurt + giveaway! My favorite ones are those little cheesecake squares and shredded coconut toppings. Yummmmmm! I really just love Plain Tart yogurt by itself! Most times I get just that! Wish they sold it in grocery stores. But if I get a topping, I love getting fresh strawberries. Yum! My favorite frozen yogurt topping is MOCHI! !